I dance myself to sleep : for piano (Variations on an old love theme) [eScore] / Joseph Twist. 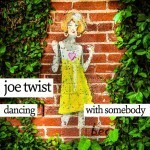 I dance myself to sleep / Joseph Twist. 20 Feb 2013: at Once Upon a Time - Sally Whitwell (The Famous Spiegeltent (Melbourne)). Featuring Sally Whitwell. 30 Apr 2011: at MSO: Dancing in the Dark (The Malthouse). 29 Jan 11: Iwaki Auditorium ABC Southbank Centre, Melbourne. Featuring Melbourne Symphony Orchestra.